Do you want to increase your revenue by 283%? 283% might not sound a lot for an online e-commerce store. However, this is a significant improvement for local businesses who provide tangible services. Do you want to know how a local travel business increase its sales by 283% to RM 307,000 per month using our 4-Stages SEO Marketing Framework? Everyone is focusing on the ranking of their website. Many businessmen believe getting more keywords at the #1 spot in SERP is the key to more sales. This works up to only a certain point because following only this strategy will leave a lot of money on the table in the long run. If you are serious in fully taking advantage of the power of SEO marketing, you need to start rethinking your strategies starting from keywords selection, CTR optimization, conversion rate optimization and re-engaging with your customers. Otherwise, you may be one of the many businesses that get a SEO report showing an X number of keywords at page 1, but your revenue figure stays flat for that same period. Keep reading to learn how we helped one local travel business take their business to next level via our 4-Stages, 9 Steps SEO marketing framework. Before we dive in, here are our client’s stats before we started working with them and their result. We helped them increase their monthly organic traffic by 300%, from 5000 visitors over 15000 visitors. The figure below is the online revenue generated by our client before we worked with them. The figure below shows the growth in revenue from an average of RM80,000/month to RM307,000/month, a 283% revenue increase within 10 months. We implemented the 4-Stages, 9 Steps SEO marketing framework which targets the right traffic, conversion rate optimization, make use of social proof & re-engages interested visitors to generate more sales. Stage 1: Analysis – Understand a customer’s goal, core product/services, buyers needs and perform a keyword analysis. Stage 2: Conversion Rate Optimization – Revamp the entire website with our optimization methods but still maintaining an SEO friendly page. Stage 4: Remarketing – Re-engaging potential customers who didn’t make a purchase to come back and buy the improved offer. Most businesses only do Step 3 and forget to do the other three steps. What if you start an SEO marketing campaign without choosing the right keywords. They are either too competitive, have low relevancy, or with low monthly searches. You are not getting enough targeted traffic. You start your SEO marketing campaign without making sure you have a website that looks good and has a high conversion rate which means you get more actual customers from your traffic. Don’t waste the expensive traffic generated from your SEO marketing. You start your SEO marketing without re-engaging with your visitors who are not buying and just leave your website. Remember, the standard conversion rate is only at 2-5% for buyers who make a purchase on their first visit. You are leaving 95% visitors away. 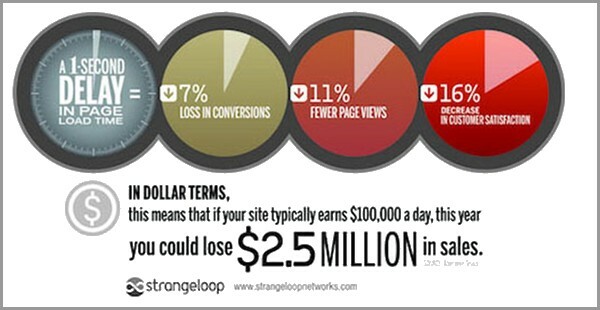 Obviously, you are either getting low ROI or even the worse, a failed SEO campaign. Increase the targeted traffic without spending a big budget. Increase your website’s average conversion from 5% to 10% on their first visit. Re-engage with past visitors and reintroduce your offer with a penny of money. Do you think it will result in a higher ROI and more sales for your business? This is exactly why the 4-Stages SEO marketing framework that helps our client get the massive upswing in sales. If you are seriously thinking of bringing your business to next level, let’s dive in now. We created a full checklist regarding the work done for this client. Get it FREE here. There are a ton of free and paid tools that do keyword analysis. Understand customer’s core profitable (based on 80/20 rules or Pareto Principle) product/services to identify the seed keywords. E.g. 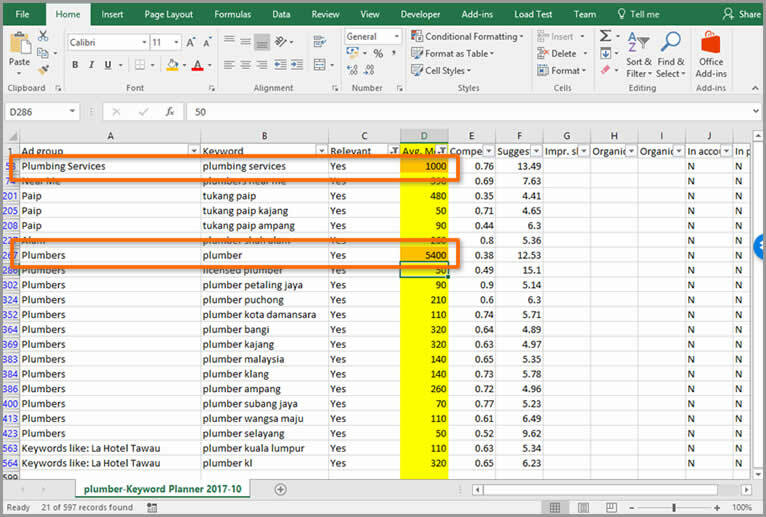 For an SEO campaign for a local plumber in Kuala Lumpur, the seed keywords would be “plumber KL”, “plumber Kuala Lumpur”, “plumbing KL” and “plumbing service in KL”. 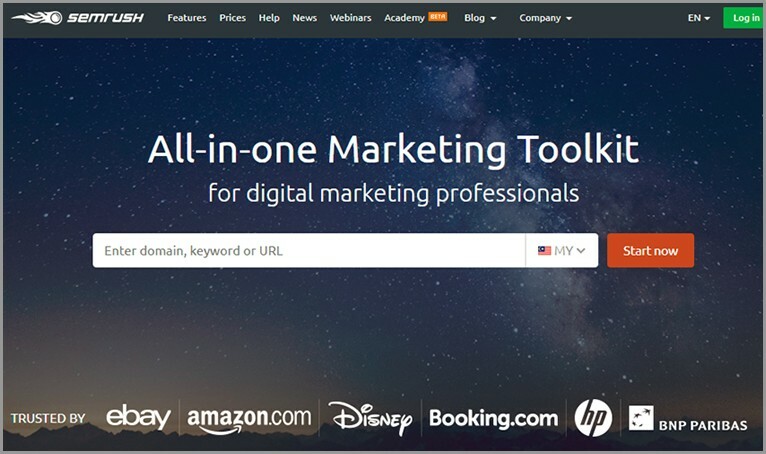 If you are out ideas, you can use SEMRush by entering your competitor’s domain name. After you enter the competitor name, click on view full report under the Top Organic Keywords tab. From there, you can gather more ideas on where your competitor’s page is ranking. Next, use the Keyword Planner from Google to begin your initial keyword analysis. Simply enter the seed keywords and choose a location. Google’s Keyword planner will provide a list of suggested keywords together with their corresponding monthly searches. Click on each group to find out details for each keyword which include data on monthly searches, competitiveness, and suggested bids. Clicking on the “Download” button will export the list of keywords to an excel file for further processing. Focus on buyer intend keywords and not only on monthly searches. E.g. “Plumber Services” is a better keyword when compared to just “Plumber”. Keywords + location are great keywords to start with because it is highly targeted and there is usually low competition. Be careful on using the data for monthly searches on your keywords. It doesn’t show you the actual clicks made by visitors. Some keywords have high monthly searches but low click-through-rates. We use Ahref Keyword Explorer to estimate a website’s CTR. Notice that the “Plumber” only keyword had 19% clicks VS “Plumber Services” which had 36% clicks. “Plumber Services” is still a very good keyword to target in this case even though the monthly searches is lower. There are keywords that contain a date or year that can have higher searches compared to its seed keywords. E.g. “baju raya” VS “baju raya 2017”. “Baju Raya 2017” has the highest monthly search number at 74,000 in the May-June 2017 period. If you are selling this type of product, I bet you may want to target “baju raya 2018” as a keyword because it will show the same search pattern the following year. By doing the right keyword analysis, we helped our client expand their market to other locations. They started in Penang. Based on our keyword analysis; there potential markets in other locations such as Langkawi Island and Kuala Lumpur. Then, we helped them create new subsites specifically targeting these respective locations (Note: they still needed to set up a physical business in those locations). This helped them bring in an additional source of revenue from different locations. Do not confuse a beautiful website and a website optimized for conversion. It is a huge topic when it comes to conversion optimization ranging from the fundamentals of your sites content to the more complex A/B testing for each website element. Revamp existing custom build website to a WordPress CMS theme site. Rewrite the content/sales copy of the website to focus on end users. Display proof of social interaction & customer testimonials to build trust. Implement meta tag and the Schema Markup optimization to improve Click-Through-Rates. First of all, why choose the WordPress CMS? WordPress currently powers over 25% of the websites on the entire internet. In our view, it is easy to use, secure, extendable & SEO friendly. Learn more its benefits here. By using WordPress, you get the right theme and plugins for your site and we can quickly build a fully functional CMS system that is ready for further optimization. 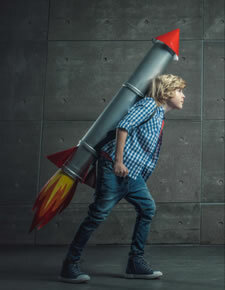 Website speed is another important aspect. A faster website means a better experience for your users, more page views and more sales. Check out our stats on page load vs conversion here. To speed up the website, we implement various strategies including choosing a proper hosting company, WordPress cache plugins and CDN (content delivery network) to reduce page load time. There are additional 19 actionable tips you can follow here. Our favourite tools to test the page load time are https://tools.pingdom.com/ and https://gtmetrix.com/. Do not worries too much on the score in Google PageSpeed Insights but focus on the page loading time. Generally, page load less than 3 seconds is good to go. The existing website content on the client site is optimized for Search engine algorithm which does include various important keywords. But It is a boring read and doesn’t focus on the end users. In reality, users don’t care who you are. They only care about what value or benefit they can get if they chose you. Rule #1, stop telling them how great you are and focus on what is the value you can bring to your clients. Others can be supplemented to enforce your credibility and make the visitor believe you are the best choice. A callout header title that focuses on how the company can help their visitors. A subtitle that tells the unique identity of the company. A quick intro about common problems and your proposed solutions. Show them the value/benefits of your good or service. Show them the potential results when they take your offer. Differentiate yourself and show why you are better than the others. Ask yourself what’s the first thing you check before making a purchase online? Check reviews… Check what others have to say about the product or service, right? Every business owner will say they’re the best among the rest. The best way to trust a business owner is to check other customer reviews. So, it is important to show customer reviews and testimonials on your website. Social proof are reviews posted in social media like Facebook. These reviews can’t be faked. E.g. A business with a Facebook page that has over 200 positive 5-star reviews. Will you trust them? Thus, showing social proof & review is crucial. Learn more about social proof marketing here. Furthermore, you can use the social proof app to display real live social media notifications to your visitors. E.g. The notification below shows recent site visitor sign-ups and/or purchases on the website. Simply do a Google search using the “Social Proof App” keyword and you should get a list of choices. If you are using WordPress or the Shopify Store, installation is easy and does not need much coding work. Meta tag CTR optimisation is often ignored in many SEO campaigns. Yes. Most SEO campaigns will put in the proper keywords on title tag and meta description. But they are not optimising it to encourage more clicks. We believe optimising your meta title will increase the Click-Through-Rate (CTR) and rank better in the long run. In AdWords, CTR is important to make sure you deliver a cost-effective ad campaign. It became important when Google launched their RankBrain algorithm. Google is smart enough to track, analyse and learn from user behaviour to deliver the best results to their users. 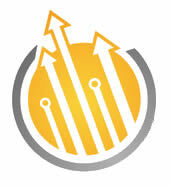 We believe high CTR will improve your website ranking over time. Imagine you are at #9-10 spot of the first search page. If the majority of your visitors click on your site more frequently than the other sites on the top 10, this sends a positive signal to Google that your website is good. Everyone clicked on your page because they wanted to visit your website. Google will then slowly push your website to a higher position on page 1 since the majority of searchers visit your page. Do check out the full coverage about CTR impact SEO ranking here. Ok. So, how do we improve the CTR? Notice, it looks tidier and readable. Write an emotional title and description to encourage users to click your result. Add a phone number to the description or title if you are a local business owner. E.g. FREE, FAST, Risk-FREE, CHEAP, GOOD are examples of power words that encourages users to know more about your product and services. Capitalizing it will make the word stand out from the search results. Add a call to action words such as Call Us Today, Buy Now, Book Now, Check Out More. Add urgency words such as Limited Time, Limited Spots. Here is an example of the proper use of the Schema Markup to show a star rating in the search results. It looks simple, but it works. We have tested these methods multiple times and have always seen positive results. As everyone knows, there are 3 types of Google search results when someone hits enter to inquire about something on the search engine. 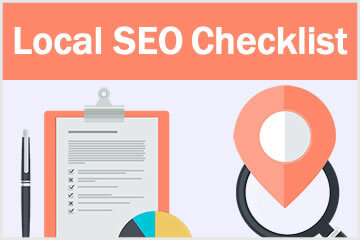 SEO campaigns will target local map results and organic search results. And the higher ranked website usually has the highest traffic. We help our client rank in at least the top 3 in organic search results. We make sure their Google Business page shows up in the top 3 of map results as well. We also encourage their customers to leave a review to gather star ratings which show up in Google map results. We also help them rank on another web property, such as their Facebook page on page 1. Lastly, the client also has enough budget to place another spot in Google AdWords. As a result, they are dominating about 4 spots on page 1. Due to the nature of the business, visitors will usually compare a few companies before making the final purchase. AdWords is not necessary, but it is a good option to keep your competitor from showing up in the search results of a potential customer. Google search traffic is one the best traffic sources for visitors who need a last push to make their purchase. These are hot leads who are ready to spend their money. With the right traffic, website conversion optimization, social proof and a great offer, our client is able to increase their revenue significantly. Let’s face it. No matter how good your website and your offer is, you will never be able to convert all your visitors to become your customers. The fact is 95-98% of your visitors may not even make any purchase during their first visit. Only 2%-5% visitors become your customers. It may be due to the person checking your website is on the move. Or someone is disturbing him/her due to an emergency issue. Or their kids are calling them for help. Or they do not trust you enough to make a purchase. It can just be any reason that keeps them from completing an action on your site. But this doesn’t mean that they are not interested in your offer. It is usually just not the right timing or they needs more interaction to make the decision. By remarketing ads, we remind those users to come back and complete the action. You can either use Google retargeting ads (GDN) or Facebook remarketing ads to do this. For us, we favour Facebook remarketing because we believe that when someone is free to hang out on Facebook, that is the best time to remind them about the offer. Check out what we got our client by using simple Facebook Remarketing ads. We spent a total of RM 10,710 over a period of 13 months (average RM823/month). There are total 1448 additional purchases (average 111 purchases/month) generated from the remarketing ads. Each purchase was worth an average of RM 350. We only spent RM 7.40 to get an additional RM350 of sales. Additional monthly sales of RM 38,850 were generated from remarketing ads. That’s a 4720% ROI on just Facebook remarking ads spending. If we do not use remarketing ads, the client may lose over RM30,000 every month. First, you install Facebook Pixel on your website. It targets users who visit your website, didn’t accept your offer and left. Facebook will record and save visitors who are not making any purchase in a virtual bucket (which are also called a custom audience). Business owners create ads to target at the small-sized audience (the users who visited the website but didn’t make any purchase). The remarketing ads show up to these audiences at a low cost because the audience size is small. The chances for this audience to make a purchase is high because they had already shown a strong interest in your products/services. By using remarketing ads, it can increase your brand’s visibility. People see your brand more often and will trust your business. Here are additional tricks for our remarketing ads. Only show ads to users who visited your website in the past 7 days (Facebook allows up to 180 days). A visitor who left your site after 7 days will most likely not make a purchase in the future. You may not want to keep following them forever like a ghost. In Optimization for Advert delivery, we chose the “Link clicks” optimization. It is because the audience is past visitors and the size is small; we want to push the ads to get more clicks. We tested to use the “Conversion”, but the delivery rate is low. In the copy of the ad, DON’T act smart and tell the user that you know the user came to your site. g. Never put something like “Hello, you visited our site, yourdomain.com but didn’t sign up….”. People don’t like being followed or get the feeling of being spied on. You may end up getting a negative impression. Make use of power editors to duplicate at least 3 Adverts in each Advert Set. Let it run for at least 3-5 days to find out the winning Advert. Then, turn off the poor performing Adverts. That’s the simple Facebook Remarketing ads we do for our clients which bring in an additional RM 38,000 every month. 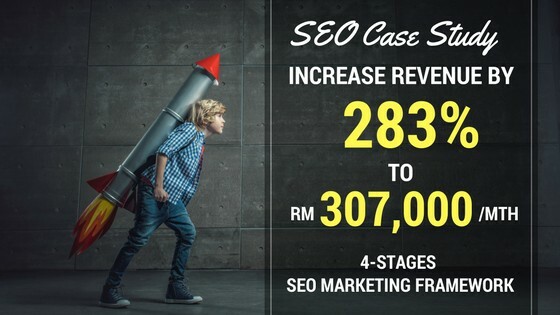 Now, we’ve shown you the 4-Stages SEO marketing framework we used to grow our client’s business by RM307,000/month. If you are running an SEO campaign, make sure you (or your SEO company) will implement all the 4 steps (Analysis, Conversion Optimisation, Dominate Search Result, Remarketing) to maximise the ROI for your campaign. If you are serious about your campaign and looking to up your revenue by 5 or 10 times, contact us here. We will discuss and see if we are a good fit. We often spend extra effort on our SEO campaigns because it is not the typical SEO campaign which just provided your ranking. Thus, we have limited spots because we want to make sure both are a good fit. Do you have any questions? Leave a comment below. We will be happy to help.